Choice Of Dual Display Performance & CAT IV 1kV Safety! 12kV Transient Protection, DC+AC True RMS, dBm, Duty %, 4 Digit Resolution, nS Conductance... And More! Ergonomic, Magnetic Hanger, Probe Holders, Tilt Stand & Hanger, Battery Access Cover... User-Oriented! 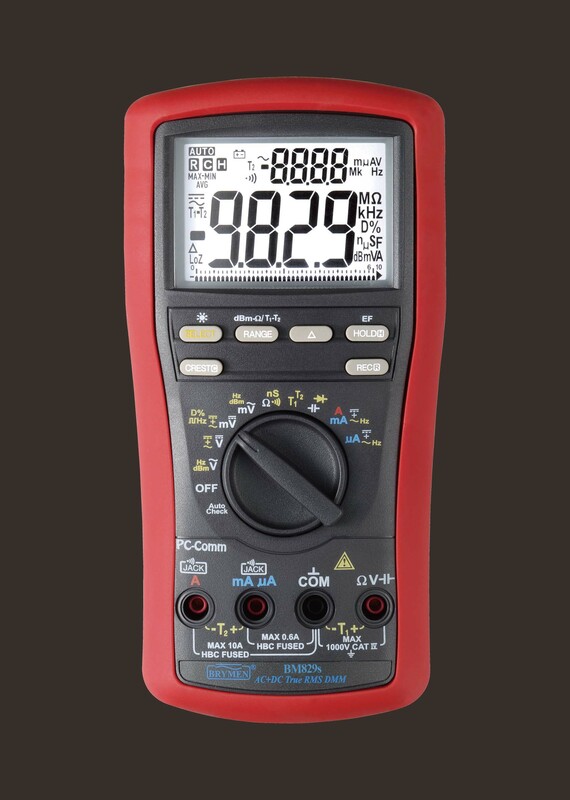 PC-Comm, Bar-graph, BeepJack, Crest (Peak), Rec (Min Max AVG), Relative, Backlit... Full-Features! Measurement To The Order Of GΩ. change without notice patents pending.